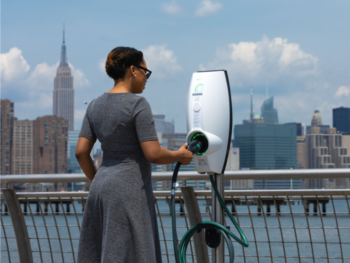 Electric vehicle drivers in Europe and North America will now be able to roam between the ChargePoint and EVBox networks under a new “first-of-its-kind” global agreement. The agreement takes effect from January 2019 and will mean that drivers will be able to access tens of thousands of charging spots across both continents without additional charges and without the need to register for multiple accounts, based on the Open Charge Point Interface (OCPI) protocol. It comes less than a month after both firms made major commitments at the Global Climate Action Summit in San Francisco to ramp up their electric vehicle charge point networks by 2025, and is expected to further drive EV take-up.